... how would you feel? ... how would they feel? There are a million reasons why not to write your book. Perhaps you've got too many ideas and don't know how to focus on the most important one. Maybe you struggle with writing; it's not your thing or you hated English at school or you struggle with dyslexia. Perhaps you're not sure where to start - it all feels so daunting. Maybe your friends, family and loved-ones simply wouldn't understand and you're concerned about how they might react? Perhaps it feels like too big a project and you're worried it will be a waste of time, if you don't finish it? Or maybe you're secretly scared that no one will buy it and you'll have to crawl under the table at your virtual launch party and drown your sorrows in a mug of gluten-free, dairy-free, sugar-free chai-ethically-sourced-nut-milk-latte and a box of recycled-paper tissues. We all have our favourite legitimate reasons excuses. What are yours? Want to figure out your own, hidden excuses? Write at least five finishes to that statement and there are your secret fears and worries. For me, it was, "Who am I, to write a book?!" For years, my personal favourite 'excuse' was my fear of trolls. I got trolled really badly, back in 2008, after a newspaper interview and it was years before I could face the idea of seeing my name in print again. Even now, clicking 'send' for that final manuscript to go to the printer can feel like being summoned to the Headmaster's office and not knowing whether you're going to get yelled at or hear a round of applause. Of course, there was a generous dose of "I don't have enough time!" But mostly it was good old Imposter Syndrome: Who am I, to...? that got in my way. Over the past ten years I have done my 'inside work' and thousands of hours of studying and how-to research to figure out how to become an author. I have had five life-changing books published. But I still didn't think of myself as an 'author'. Who was I to call myself an author? The thing is that all of these fears, excuses, limiting beliefs and hidden blocks are fixable - surprisingly easily - when you know how. So, early in 2017, I used the tools I love to share with my students to overcome a 30-year-old limiting belief that I couldn't write a story. I waited. Nothing felt different. I felt gutted. Then, two days later I had drafted seven novels and the first one was published within five months. Readers have described it as 'unputdownable'. The sequel comes out this November. 2. When you clear out your hidden blocks, and have a clear writing strategy, inspiration flows and you magnetise your dream readers. What Might Publishing Your World-Changing Book Do For You? Making a bigger difference in the world by having an easy way to reach pretty much everyone on the planet who resonates with your message. Getting to help more people with less effort. Filling your courses / workshops / coaching book more easily - with better clients - and faster. Having complete strangers call you and ask to work with you - and they're a perfect fit. More easily landing speaking gigs, PR opportunities, interviews and expert exposure. Having people recognise you and want to meet you at conferences and events. Finding great Joint Venture opportunities that provide win-win results for both of you - and your audiences. Having the credibility that means potential clients no longer haggle over your pricing or your terms and take your work together more seriously. Earning more regular income, by working fewer hours, and only working with clients you love, giving you more time and money with your loved-ones and leaving you feeling less stressed and happier. But to achieve all of this, it's essential to write the rig​ht book, not just a book. And that's not as easy to figure out as most self-published authors tend to think. I know, because I've got that t-shirt, having published 7 books in the past 10 years. Want to shortcut your learning curve? Want to know how to avoid the most common mistakes that mean most writers never publish and most books sell fewer than 250 copies - or leave their authors broke (or both)? I'm running the an Author Mastermind for business owners who dream of writing a non-fiction book that grows their business and helps them to make a bigger difference in the world. It's a unique blend of practical strategy, creative writing challenges (yes, they help with non-fiction, too!) and the little-known 'inside work' that makes the difference between 'meh' and 'wow!' with your book and its launch. Have decided whether or not 2020 is the year you say YES to your dream of writing and publishing your world-changing book! ... telling you how you changed their life with your book. Want to take your next step towards making this your new normal? In addition to regular writing exercises (all in bite-sized chunks), here's an overview of what you'll be covering. You get a new module every week or two, to allow you to implement what you're learning. Plus you've got me in the forum and Facebook group each day to bounce ideas, to celebrate your successes and to get answers to your questions. And there is a weekly Q&A session during the modules (fortnightly after that) to keep you on track and for brainstorming ideas. To kick us off, you'll be looking at all the reasons why you want to write a book - and finding out why some of the most common ones are brilliant reasons why NOT to write one! Plus you'll discover the little-known secret to keeping yourself motivated - actually getting your book done - from writing your first word to six months after your launch - and beyond. How to avoid the #1 mistake that means no one apart from your mum and your best friend will buy your book, no matter how brilliant it is? In module 1 I'll be sharing the five reasons why your dream customers WISH you would write your world-changing book. You'll learn insider secrets from my days as Head of Market Research at Dyson to figure out what your dream readers are looking for - so they feel like you're reading their mind (in a good way!). And you'll learn the top 5 questions you need to ask yourself, to make your book stand out in a crowded marketplace. In module 2 you'll learn my favourite ways to make sure your book grows your business - and it's so much more than being 'just a business card'. Learn how to subtly weave these triggers in to your book, to avoid the #1 mistake that means most NY Times best-selling authors are broke. Plus you'll discover ten things you could do in under ten minutes to test whether your book will fly off the shelves or gather virtual dust, before you even write a single word. Module 3 is all about how to get that mess of ideas out of your head and into a compelling, unputdownable book. You'll learn how to avoid the single, biggest mistake that means that most books end up as a dust-collecting shelf-ornament, rather than a world-changing client-magnet. I'll be spilling the beans on gems from 15+ years as an NLP Trainer, specialising in how to structure courses and books, and my original training in lean manufacturing & six sigma, so you can learn the process for translating your inner genius into something that creates transformations for your readers, on their sofa in their PJs. Plus this is the module that you'll dig deep and uncover the 4 hidden blocks that mean most authors will never publish - or they subconsciously sabotage their book's success. This is the invisible key to success that most writers miss out. You get a couple of weeks to work through this one - it's the most important part of our work together, once you have nailed your best-selling, business-growing book idea. You'll already have started on your book by this point. And to help you make it unputdownable, I'll be sharing how you can use the information you gathered in modules 2 and 3 to write in a tone of voice that your reader finds irresistible. It helps you to build deep rapport. It gets them feeling like you're sitting by their side. Plus I'll share with you the three super-common language mistakes that most authors make, which mean you're giving your reader permission to give up on what you're teaching. It's the secret key to growing a tribe of raving superfans. And it's surprisingly simple - and great fun - when you know how. In module 5 we'll be talking about how to build a tribe of hungry readers, even if you haven't started writing yet, and my favourite secret to get them to make your book brilliant, not bleugh. Plus we'll cover how to sell out your first print run (if that's the way you want to publish). You'll learn why launch planning isn't something you add on at the end, once the book has gone to the printer, but something you start when you write your first word. And it's also the module you'll be working on your book's business plan - so you can make sure it will give you a great return on your time and financial investment. Plus you'll get clear on whether you want to self-publish or go for an agent / book deal - and you'll be in the perfect position to do so. The training materials for each module are published at 9am (UK) on Monday mornings. So they're there for you at a time that works with your schedule. I'll be doing ad hoc live Q&As in our Facebook group, to cover any questions you have about them and to make sure you have what you need. The group Q&A calls (via Zoom) are on Thursdays and alternate between 2pm UK / 9am EST and 7pm UK / 2pm EST, so that everyone gets a chance to join in with them, wherever you are in the world. After the main modules, you get fortnightly group mentoring Q&A calls to keep you on track, get answers to your questions and give you the accountability you need, to get your book done and out there. You'll also get my guide to the practical side of publishing your book and how to run a successful virtual book tour for your launch. You're not going to be forcing yourself to finish your book in 30 days, just because of some arbitrary deadline! You're not going to be giving up on sleep / abandoning your business / having your loved-ones thinking you've emigrated, just to hit some artificial goal. Instead, you're going to lay strong foundations that make it easy to create your world-changing, best-selling, brilliant biz-growing book in 2020. This is a mastermind, so you will need to carve out some time to make the most of it (don't worry - I can help with that!). But it's all designed to produce results quickly, with as little time and effort as possible. These comprehensive, but bite-sized, training videos & workbooks are specially designed to guide you through the writing process, from 'great idea' to 'done'. Exercise your writing muscles, discover how to make it easier to feel inspired, and get friendly feedback from your peers to improve your writing skills, whether you're a beginner or a pro. I'll be doing short livestreams in our group, sharing things I wish I had known when I started my author journey, ten years ago - things you'll be super-glad you'll know by the end of our time together! Between the Facebook group, the forum, the live Q&As and the training videos, you'll have plenty of feedback, support and accountability. Writing can feel lonely and this interaction makes a huge difference to your likelihood of success. You'll get my much-loved course on how to handle imposter syndrome - for authors. Plus there's my masterclass on how to 'magically' make more time. And you'll get my 'publishing planner' timeline cheat sheet, so you know exactly what to do and when. You get access to my private forum, plus our friendly Facebook group. I'll be popping in on weekdays with pep talks, to celebrate your successes and to answer questions. We'll have the weekly live Q&As, too. Who Is This Author Mastermind For? It's perfect for you if you're a business owner or Passionate World Changer on a mission to make a bigger difference in the world and 'writing that book' has been on your wish list for years, but not yet happened. You'll get more from this programme if you already have past clients and case studies you can draw on, rather than if you're just setting out on your business journey. You don't have to be a pro-writer. It's absolutely fine if you're a little bit scared (you're not alone!). What matters is that your heart is calling you to make NOW the time that you get your book done - and you're an action-taker, not 'course-collector'. It's for non-fiction books, not novels, and you have to be open to putting in the effort to go and use the materials we'll be covering, to get the most from your time. Even if you've already started a book, this Mastermind will still make a huge difference for you in making sure you're writing the right book and tweaking it to make it unputdownable. Plus you'll be creating a launch plan to guarantee your book's success. Don't Know Me Yet? I'm Clare Josa. I have been a certified NLP Trainer since 2003, which means I'm an expert in designing courses that work fast - getting you maximum results for minimum effort. It also makes me a pro at decoding the 'user manual' for your brain. 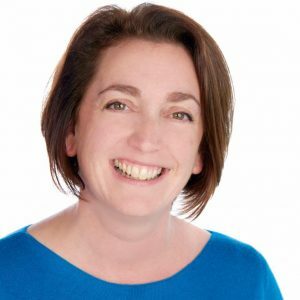 My prior background in engineering, specialising in Lean Manufacturing and Six Sigma, means that I'm a great strategist with a fluff-free approach and a passion for sharing inspirational how-to that makes changing your life fast, fun and forever. I'm also a certified meditation, mindfulness and yoga teacher, so you get a generous dollop of that, too. My clients call it 'engineer-approved woo-woo'. As the author of seven books and a regular radio and podcast interviewee, I have helped thousands of entrepreneurs and passionate world changers with overcoming imposter syndrome and getting their world-changing books written, published and launched - so they can make a bigger difference in the world. And I'd love to get to share those strategies with you in this Mastermind. I know you're busy! And I have designed this programme to be in bite-sized chunks so you can fit it in, no matter how full your schedule is. This is a Mastermind, not a free downloadable cheat sheet, so you will need to invest the time and energy to get the most from it. But 2 hours per week should be enough for the training and your 'homework', plus however much time you want to spend on writing practice. It's a solid investment in your future and could save you months of writing the wrong book, so you can grow your business and make a bigger difference in the world. To do this with me 1:1 would costs £9,995 for four months of support (you can sign up below, if that's what you're looking for). And I only take on a handful of clients for such intensive projects these days (only 2 places left for the whole of 2019). And by doing this Mastermind with fellow business owners, you'll actually get more from it than if we did it 1:1, because the idea-bouncing and feedback you'll get will be invaluable. You never know, you might even end up writing the forewords for each others' books! I want to make your Author Mastermind as accessible as possible, whilst still giving you the quality of course and support you deserve. So the regular price for this 4-month group Author Mastermind programme is just £1,995. That's less than the cost of a day's 'pick Clare's brain' session with me - something people ask me for regularly, when it comes to writing a book. And you'll get a whole 4 months of working with me, getting answers to your questions, and bouncing ideas with your fellow Masterminders. The 2019 Mastermind is now full (though you can still do this with me 1:1). Doors are now open to hold your place for 2020, which will start in February, after the New Year Launch season is out of the way! Are You Joining Us? We Start In February 2020. I know what it can feel like as you sign up for a programme like this, so I want to make it a zero-risk investment for you. If at any point in the first 30 days of the programme you find that it is not helping you to write your book, let my team know and I'll give you your money back - no sulks or tantrums! This Author Mastermind isn't about getting a book finished. It's about getting it started, with strong foundations. Though it is totally possible to have your book done and published by the time the Mastermind finishes. Once you're excited about why you're writing and how it will help you to make a bigger difference in the world - and grow your business - it becomes easier to find the time. And I can help you with that! To get the most from this programme, it's best to allocate a couple of hours a week for the main content plus extra for the writing exercises. And you get my bonus training on how to 'magically' make more time and a much-loved masterclass on Planning, Productivity and Procrastination, which turns classic time management on its head, to get you results - fast. When are the live Q&A sessions? They will be on Thursdays and will alternate between 2pm UK (9am EST) and 7pm UK (2pm EST). They're all recorded, so you don't miss out if you can't make them live. This way everyone gets a chance to join in, wherever you are in the world. If you're in genuine financial need, please contact my team to talk about applying for a bursary, letting them know what you can afford. However, as business owners, sometimes we have to invest in ourselves and in projects that are important to us. This programme is priced at what it would cost you to hire me for three hours to 'pick my brain' about your book - a request I receive regularly and nearly always have to turn down. By writing the book your audience has been hungry for, it should add massively more than the investment for this programme to your turnover. So I hope you'll agree it's worth it. I'm not ready to write my book yet - is there any point in doing this Mastermind? 1. It will help you to decide whether or not a book is a great next step for your business - and build a solid business plan around it. 2. It will mean that you've got your Big Idea, your outline structure, your key deliverables and your launch plan ready, before you even start to write. I can't begin to tell you how much difference this will make to your success. 3. You'll be exercising your 'writing muscle' during our Mastermind and it means that when you do come to write, it will be much easier and will need less editing. And I'm not running this again in 2019, so it's now or 2020 - at double the price... Join us now! How long do I get access to the training materials? There's no expiry date on the training materials, livestreams and Q&As. They will be there for you in my online Training Vault for as long as you need them. The forum will also be there for you to get answers to your questions and to celebrate your successes. The Facebook group will remain open for 3 months after the end of the Mastermind, at which point it will be archived. That means you'll still be able to see all of the posts, but won't be able to add new ones. This is to help us keep our focus on this mastermind, rather than allowing it to drift into being 'yet another Facebook group'. And it also helps to give you accountability for taking action on your author dreams. I'm just launching my business. Is this for me? It depends how much experience you have in the field you'll be writing about, rather than how old your business is. If you have embodied - you're living and breathing - the transformation you share with your clients, then go for it! If you're newly-qualified and haven't got many case studies yet, you might struggle to create a world-changing book and it might be better to wait until next year. You can contact my team if you're not sure. I've already started my book - am I too late for this? As long as you're still writing, it's never too late to use the resources in this Mastermind to take your book to the next level, to grow your hungry tribe of readers, to avoid the crazily-common mistakes, and to dive in with your launch & post-launch planning. To give you an example, with Dare to Dream Bigger, I had already written 80,000 words when I went 'back to basics' and did this. It took the book from 'good' to 'great'. Of course, I wish I had done it before I started writing, but at the Chinese proverb says: "The second-best time to plant an oak tree is today." So please, do join us! I'd love to get to support you. And remember: if you're going to work with a professional editor, the few hundreds you spend on this Mastermind could save you thousands in editing fees. Got one that's not covered here? Contact my team for answers. Not for you just now? That's cool. I Want To Join The Masterclass!